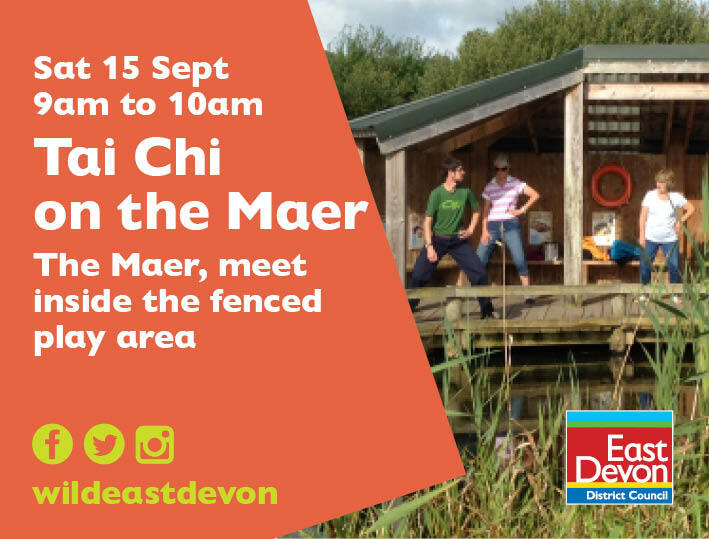 Join qualified Tai Chi instructor, Sam Forder on the Maer front for a unique Tai Chi experience. This taster session will introduce the concepts and benefits of practising Tai Chi. Tai Chi is an excellent exercise for the whole body, and practicing in the outdoor environment can enhance our connection to nature. Practicing Tai Chi can strengthen our immune system, whilst also putting a large emphasis on improving the bodies' energy system. An introductory session can be the first step for both new and returning students, and could lead to further practice for those who find a new passion in this exercise. The session will include a variety of warm-up exercises and both Qigong and Tai Chi movements. Any fitness level and age welcome. £8 per person. Booking required.